The IDC undertook a number of activities on International Nelson Mandela Day in an outreach aimed at giving back, as well as continuing Madiba’s legacy. Staff packed food parcels for crèches, cleaned up a school, prepared meals and built houses. 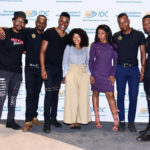 Nelson Mandela would have been smiling and dancing his famous Madiba Jive if he had been at the Sandton Convention Centre, where thousands of volunteers packed stacks of meals for underprivileged children on International Nelson Mandela Day. Mandela adored children. In his book Conversations with Myself, he said: “I love playing and chatting with children… feeding and putting them to bed with a little story.” True to this, his widow Graça Machel, the Industrial Development Corporation, and corporates joined Stop Hunger Now Southern Africa on 18 July to make sure that even though Mandela had passed on, his legacy, beliefs and aspirations remained. 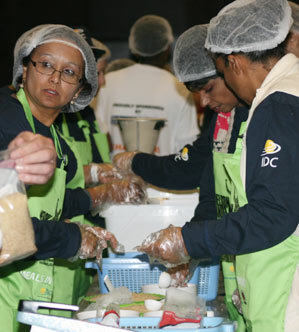 Called “Meals in Memory”, 4 220 volunteers packed 650 808 meals for young children at crèches in 67-minute shifts. Each volunteer packed enough food to feed one child three meals a week for a year. According to Stop Hunger Now Southern Africa, over 11 million impoverished children are vulnerable to hunger in South Africa. Studies have also shown that hunger-related childhood illnesses are key drivers of mortality in children under five years old, and that children who experience malnutrition in the crucial early development phases are most likely to experience learning difficulties. 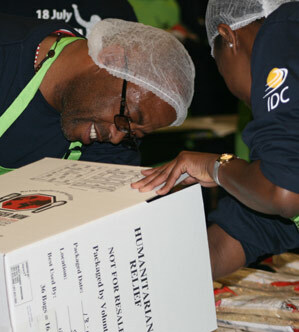 Two hundred staff members from the IDC head office in Sandton took part in the event. “We have 10 teams from the IDC and our target is to package 32 500 meals today. The corporation had decided to take part in packing meals for children because of the alarming statistics of children who went hungry every day, not only in South Africa, but also in the rest of the world. “We saw this as an important event to associate ourselves with an opportunity to package nutritious meals for impoverished children. “The response from the IDC [to Mandela Day initiatives] has been tremendous. As the IDC we are based in all provinces and several activities have been organised at that level. We have the Habitat for Humanity build in Cape Town which [took] place over the whole of the week. 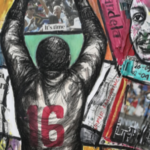 There are activities also lined up for the rest of Mandela Month. In Mpumalanga for example, we will be doing something for a particular school when schools open next week,” she said. In Cape Town, the Habitat for Humanity International Nelson Mandela Build Week could not have come at a worse – or a better time. Cape Town lived up to its name “Cape of Storms” over the week, with driving rain and freezing winds lashing the peninsula. Yet every volunteer turned up every day to help build 71 homes for backyard and shack dwellers over the week, which ran from 14 to 18 July. The general sentiment was that it gave a better understanding of the trials and challenges faced by the homeless; experiencing a snippet of the hardships so many people faced daily drove the volunteers forward and helped to create an astounding, inspiring camaraderie. The IDC’s entire Western Cape regional office turned up on the first day of the build, at Pelican Park in Cape Town’s suburb of Grassy Park, rallied by Luana Malan from the corporate social investment department in Johannesburg. Each day of the week, teams were sent from companies and organisations with whom the office works. On Thursday, it was the turn of the donor support unit from the University of the Western Cape (UWC), and on Friday – to complete the task and attend the closing ceremony – it was a team of staff members and IT specialists from Edunova. Monday began bright and sunny, with a warm spirit of camaraderie when the volunteers were met by foundation slabs and a list of requirements to meet for the day. The corporation was assigned a house on Block 10. There are three houses in a row, of two rooms each. They have been assigned to the beneficiaries, who are helping on the build. The foundations were dug and the slab thrown previously and on Monday they were doing the sixth course – the walls up to the sixth brick. At the end of the week they would be at roof height. The city is to add the utilities when the houses are finished. It has already put in roads. In total, 1 100 market houses are being built, which will be sold, and 2 200 government houses. The site is 80 hectares in size and will have mixed housing as well as a full community – a park, clinic, primary and secondary school, mall and garage. “We are building a whole community, a whole neighbourhood,” said crew leader Simone, who lives in neighbouring New Horizon. Beneficiaries are moving into the homes from various places, and are determined to build a community together: “We are building a neighbourhood,” they all said. “It is great to be building our own homes. It gives a sense of ownership and achievement,” added Rhode’s wife, Renee. He raised a laugh in thanking all the volunteers, who “took time off from your busy work of moving office chairs around to do some hard construction”. The build week was held in partnership with the City of Cape Town, the Power Group and the Nelson Mandela Foundation. Initially, a target of 67 houses was set for the week, but there was a huge response from corporates, allowing 71 houses to be built, said Adrienne Burke, marketing manager for Habitat for Humanity South Africa. Alongside volunteering manpower, corporates also fund the building of their particular house or houses. Volunteers included five International Habitat for Humanity teams from the United States, Northern Ireland, Malawi and Lesotho, bringing the total number of volunteers on site during the Mandela Build Week to 3 550 – including people from Zambia, Germany, South Korea and Australia. 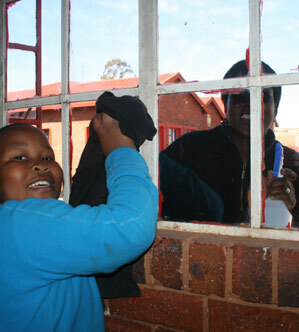 Eleven-year-old Karabelo Borotho, whose mother, Francina, is a teacher at the school, said he was delighted to use his school holiday to help out. “I want to live Mandela’s legacy because he would have done anything to see South Africa strive to be better,” the youngster said. Moses Maren is one of the 20 schools the IDC has adopted and is implementing a whole school development programme aimed at creating functional schools. 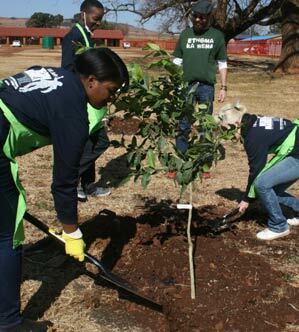 The fruit trees will be used to feed the learners . In KwaZulu-Natal, 16 staff members from the regional office in the province had time to interact with the children at Umthombo Street Children-SA, a non-profit organisation that helps reunite street children with their families and provide support where necessary. The children had much to learn from the staff members, who taught them pretty much all they needed to know about life. The IDC staff members also prepared meals and cleaned the premises of the home. The Eastern Cape was equally busy on Mandela Day, with staff from the Port Elizabeth and East London offices taking time to do their part for Madiba. In Port Elizabeth, 10 IDC employees prepared meals, donated toys and cleaned the premises of Ubomi Obutsha Centre, Zanethemba Charity Foundation, Ithemba Baby Home and Sekunjalo Day Care. Children at East London’ Hope Education and Small Projects Foundation enjoyed hot meals prepared by six IDC staff members. The staff members also helped clean up the premises of the two centres and donated sanitary napkins and toys to the delighted children. In Limpopo, the Mamadila Community Development Centre also received a helping hand from 10 IDC staff from the region. The staff members helped plaster, paint and repair the ceiling of the centre. Mafikeng High School in the North West also received much-needed repairs when two IDC employees from the regional office took time to paint the school’s roof. Tshidisanang School, an institution for disabled children; Itekeng Community Centre; and Yade Outreach in Bloemfontein received stationery, food parcels and toys from eight IDC staff members from the Free State regional office. To show how much they care, the staff members also spent quality time with the disabled children from Tshidisanang School. The Free State region spent the day with three non-governmental organizations: Itekeng Community Centre and Tshidisanang School for the disabled in Bultfontein in the Tswelopele Local Municipality, and Yade Outreach Centre in Mangaung. The nine staff members spent the day at these organisations wrapping food parcels, painting, playing soccer and spending quality time with the beneficiaries of the NGOs. On Mandela Day, the Kimberley IDC office in the Northern Cape packaged and handed out food parcels to poor communities in Ricthie and Warrenton. Mandela Day activities will continue during the last week of July when staff members from the Upington office renovate and clean up the Oasis Skills Development Centre.